Dove Nutritive Solution Oxygen Moisture Shampoo Dove Oxygen moisture with oxyfusion technology ingredients, has lightweight oxygen fused moisturising ingredients. It instantly disperses on hair, bringing back smoothens while giving bounce and up to 95% thicker look. Dove will never change their default packaging, that same white sturdy plastic shampoo bottle... may be the colour of the lid will differs according to the shampoo's formula it will be interesting if they come forward to change their packaging. Otherwise it is good and travel friendly. The shampoo is looks colourless and has a runny liquid texture. The conditioner has creamy and thick texture and milky white in colour, both shampoo and conditioner has same pleasant smell. 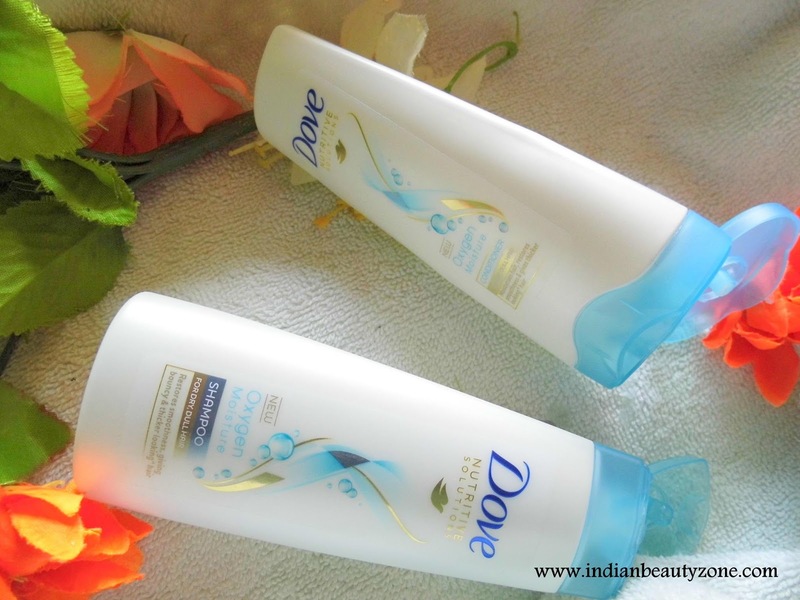 I had great hopes with this Dove Nutritive Solution Oxygen Moisture Shampoo and Conditioner. I have started using it immediately after receiving it. I am struggling with salty and hard water here in my new home. So my hair became dry and frizzy all the time. I thought this shampoo will make some miracle on my hair. But, no change my hair stayed dry like before even after I used the filtered water for my last rinse. I came to a conclusion that this shampoo is not much greater than the other variants of Dove shampoos I used before. I have used this shampoo in different waters and my hair doesn't looks like neither before's soft and shiny nor their claims of bouncy hair. I felt this is an ordinary shampoo and didn't make my hair neither bouncy nor shiny. I feel this shampoo is not making the hair extra shine as you can keep your default hair's shine and softness by using this shampoo. I mean for normal hair this shampoo will work out well not for dry hair. This shampoo lathers well even in my tap's hard water. It gives a clean scalp with its mild scented smell. I love it. Best for normal hair type. Cleanse the scalp and hair well. It didn't give bouncy hair. Will not be suitable for dry hair. 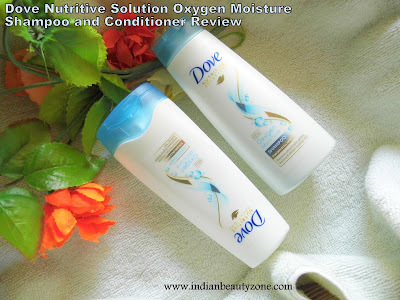 Dove Nutritive Solution Oxygen Moisture Shampoo and Conditioner is a good shampoo for those who have normal hair and wants a shampoo with good scent and to clean their scalp and hair well.